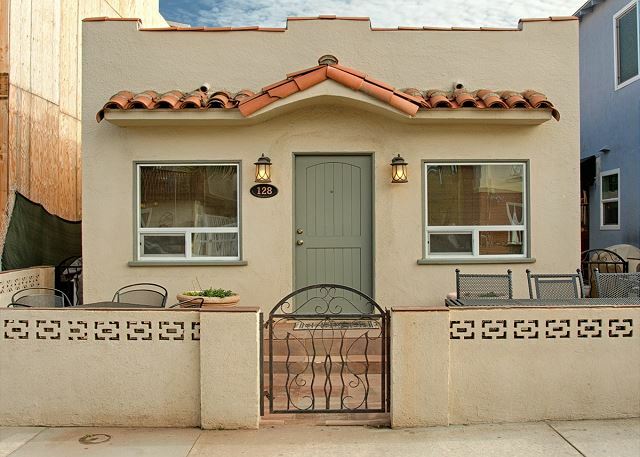 This adorable villa located just 7 houses from the sand has a large front patio with an ocean view. 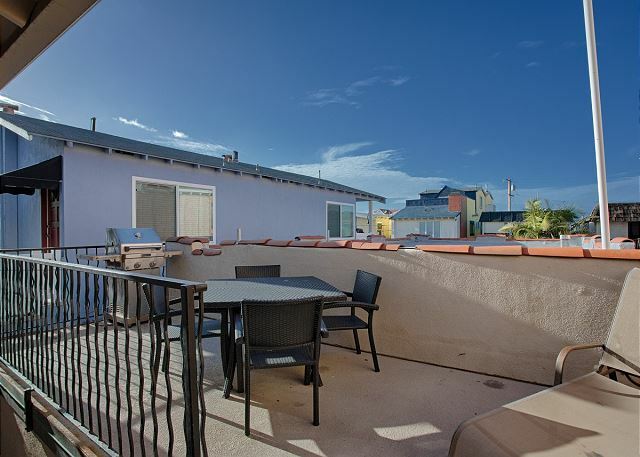 There are 2 bedrooms, 1 bath in the front unit (A), 2 bedrooms, 1 bath in the upper unit (B) and a third separate bedroom and bath on the ground floor (C). 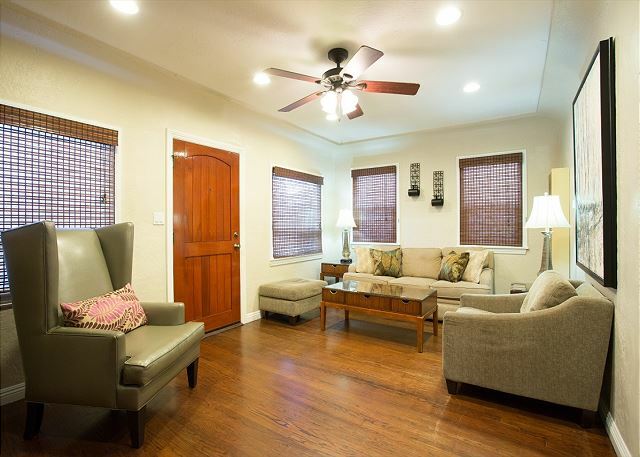 The spacious living room in A offers hardwood floors, plenty of seating, natural light and a large flat screen TV. 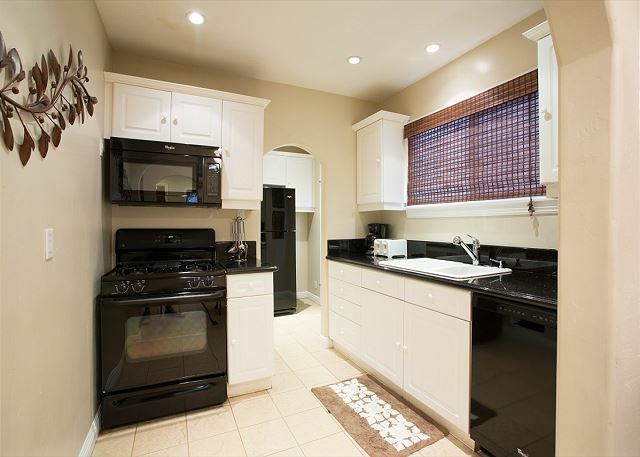 The kitchen has newer appliances, including a dishwasher, natural stone counter tops, tiled floors with eat-in dining and seating for 4. 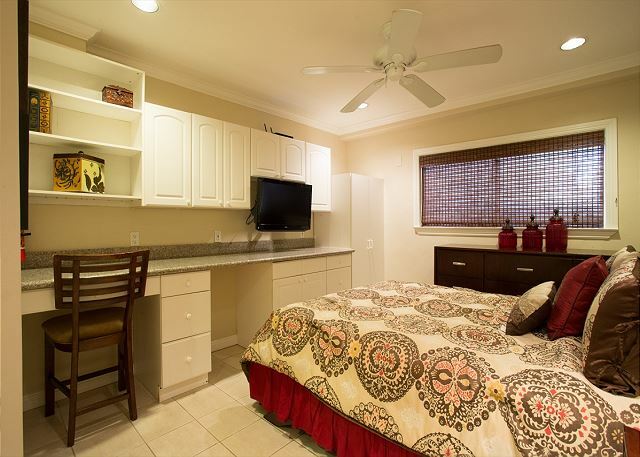 The master bedroom is furnished with a queen bed, built in closet and dresser. 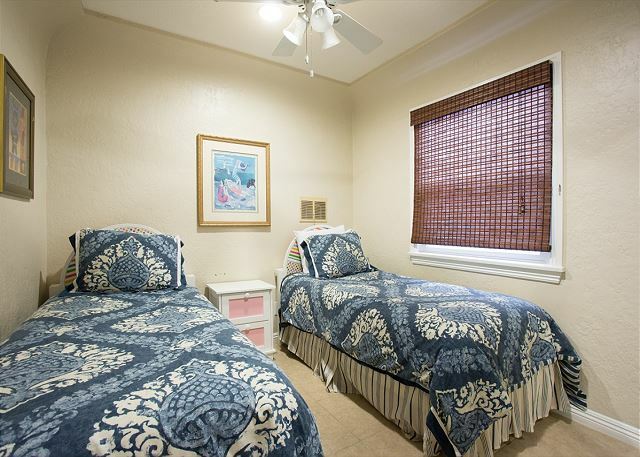 The second bedroom has 2 twin beds with the cutest spinning headboards! 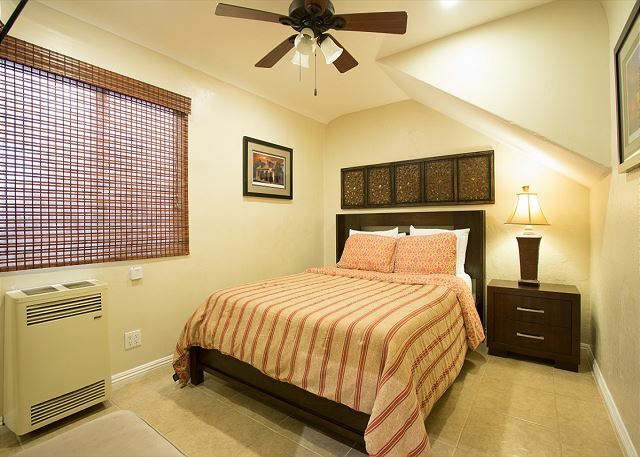 Both rooms have flat screen televisions and ceiling fans. 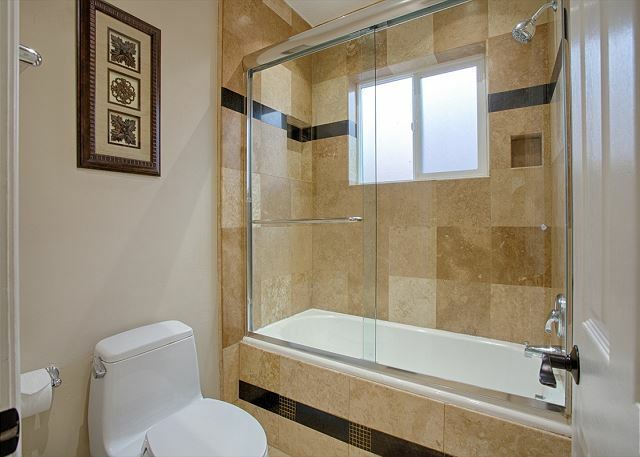 The newly remodeled bathroom has floor to ceiling stone tiles in the enclosed tub/shower. 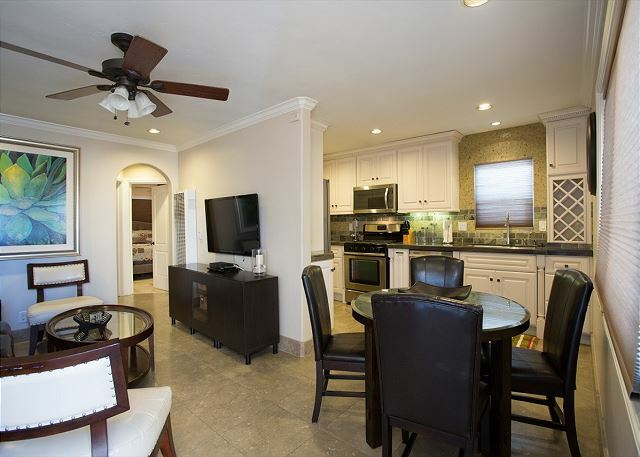 The newly remodeled upper level (B) features custom marble, natural stones and all new décor and appliances. 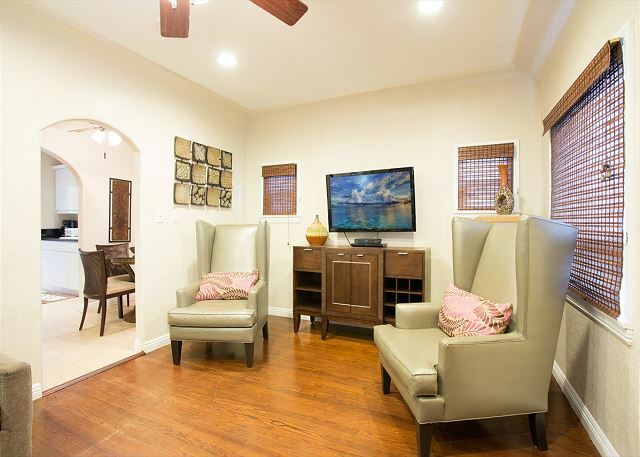 The door opens to a warm comfortable living room with a rich leather couch, flat screen TV and ceiling fan. 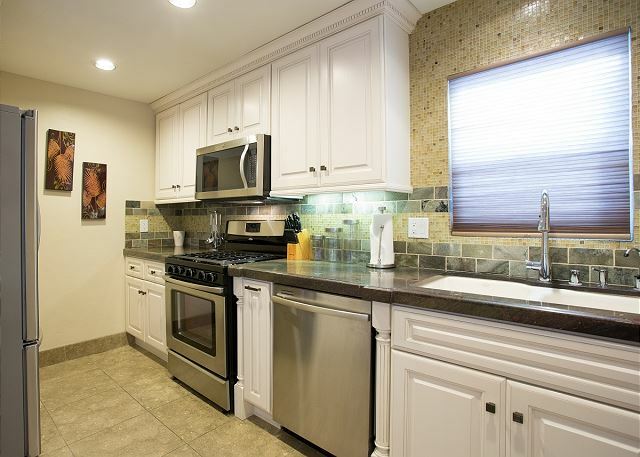 The remodeled kitchen features custom marble, new cabinets and all stainless-steel appliances. 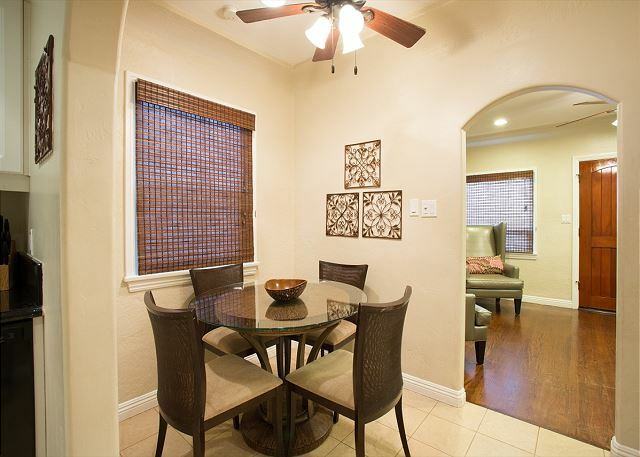 There is dining for 4 with a handsome hardwood table with high back leather chairs. 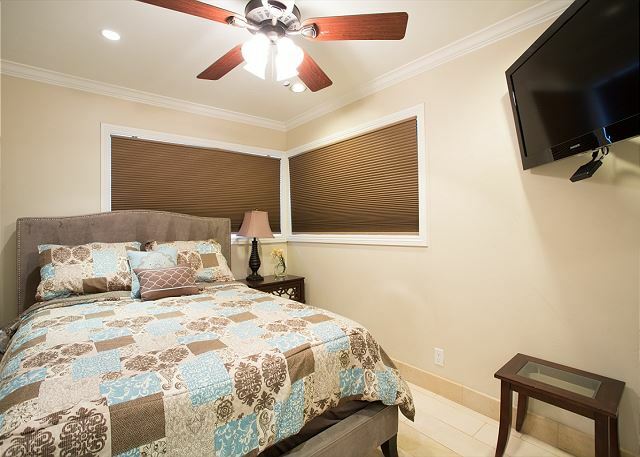 The 2 large bedrooms feature platform queen sized beds, flat screen televisions, ceiling fans and mirrored wardrobe closets. 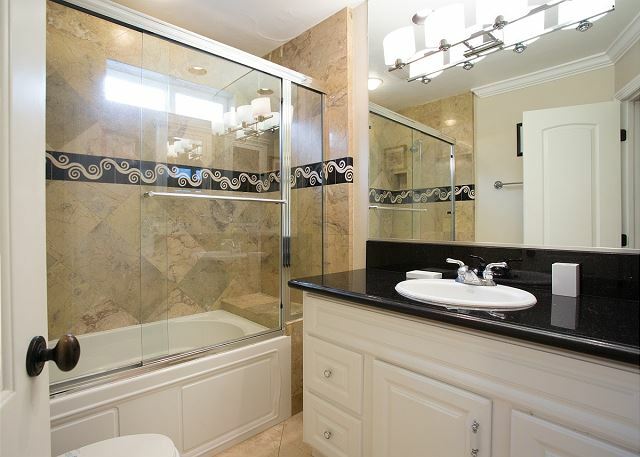 Custom stone floors throughout and the full bath has an enclosed oval tub with decorative tile accents. 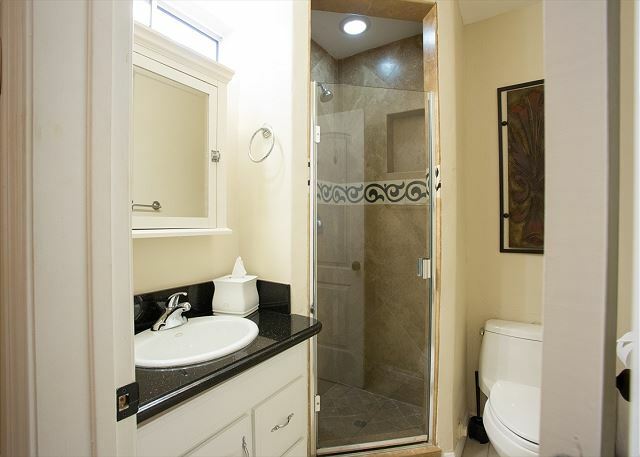 The ground floor C unit comes with a queen-sized bed, built in desk, flat screen TV and enclosed shower with decorative tile accents. 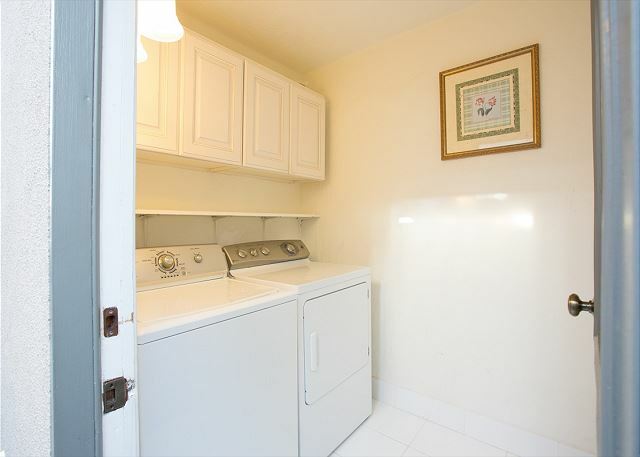 An outdoor shower enhances the beach lifestyle and a shared washer and dryer in the laundry room. I had great experience dealing with with this office especially with Jane she was great lady. 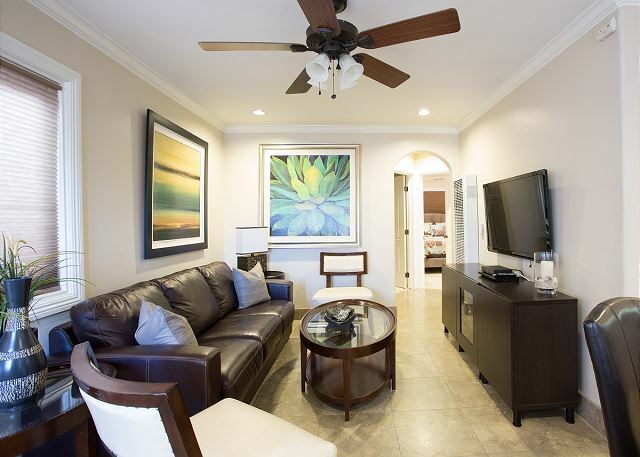 We are glad that you and your family enjoyed your stay and we look forward to seeing you again on your next trip to Newport Beach! 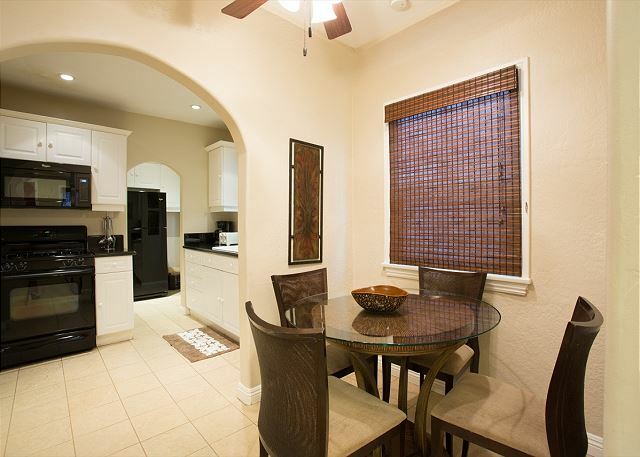 I've passed along your comments to our management team and Jane! Thank you again for the kind comments.